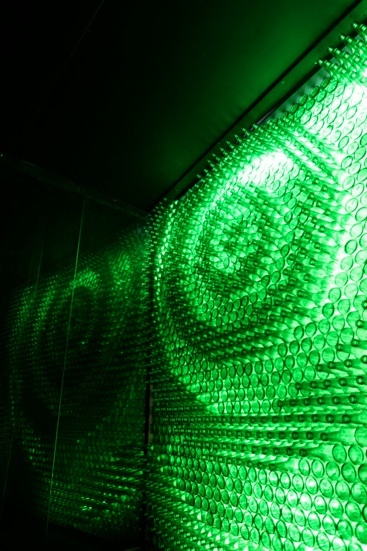 The bottle wall was a result of a project focusing on sound in coalition with glass. 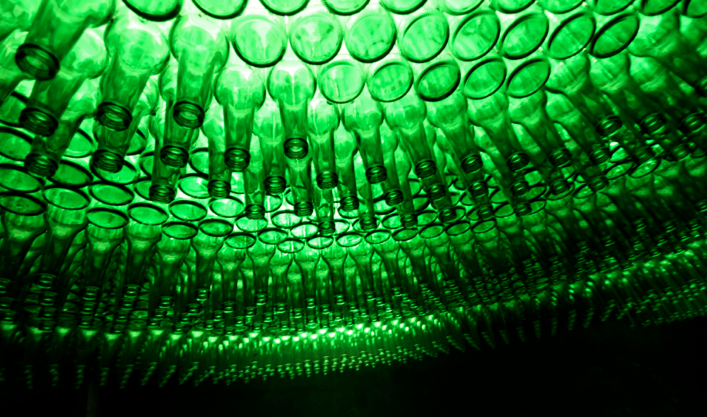 Glass is a reflective surface but when combined with the shapes of glass bottles sound became better distributed in the room. 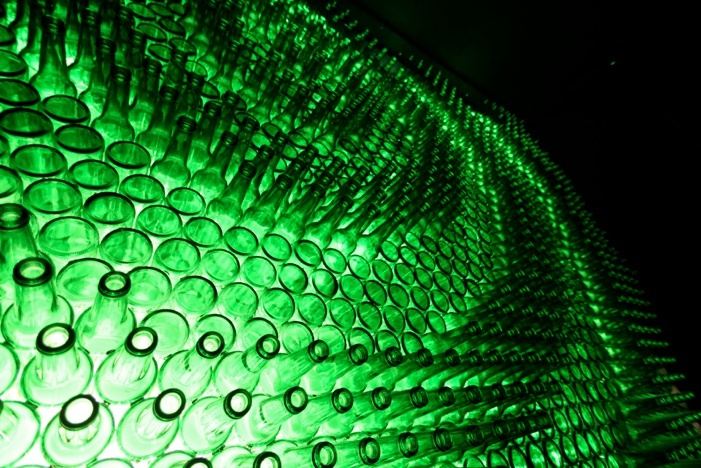 The bottles where arranged in a pattern symbolizing sound waves.